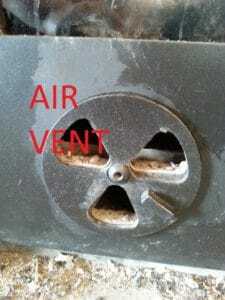 We bought our wood stove to serve many roles in our house. It is a space heater in the great room (living area), runs radiators in each of our bedrooms and makes them lovely and warm. Our wood stove also heats our water, and on top of that, it cooks! The best $8000 we have ever spent I think! Our power bills are 1/2 to 1/3 of our friend’s ones, so it will pay for itself fairly quickly. Cooking in the wood stove is a bit different to an electric or gas oven, but it isn’t as tricky as some might have you believe. Modern wood cookers are very easy to get hot, and very efficient with their fuel. If you would like some idea to start a fire without newspaper, we have got you covered! 1) Build a good hot fire at least an hour before you want to use it for cooking. Start with plenty of screwed up newspaper, 6-10 very dry sticks on top of that then one smallish piece of firewood. 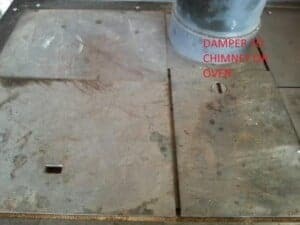 2) To get the fire going well make sure the air inlets are fully open, the ash tray isn’t too covered in ash (I poke the fire poker through the grate to let the air through) and that the damper that switches the heat going around the oven to up the chimney is open to the chimney. 3. Use well seasoned dry wood – a moisture content of less than 20%. You can use a fancy machine to check this, or just clunk two bits together, they should make a resounding clang rather than a dull thud. As a rule, hardwoods burn longer and hotter but are harder to get burning and soft woods burn quickly but not as hot. It is best to use a combination of the two, soft woods to get the fire up and running and hard/resin filled woods to get it hot. See here for good firewood options. 4. Keep your logs under 12 cm/5inches in diameter. To get a nice hot fire in you wood stove use smaller sticks more often – 3-7 cm/1.2-2.5inches across and once it is nice and hot switch to bigger logs and turn your dampers down. 5. 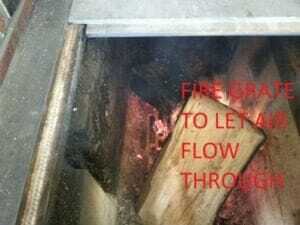 Once you have a good hot fire going in your wood stove run your fire for half an hour or so with the damper sending the heat around the oven open, once you are at the temperature you are aiming for, turn your air dampers right down and only add fuel when you really have to. Otherwise, you will find the oven temperature keeps climbing. Nothing quite like bread that is started at 200 C that ends at 350 C. I know. I learned the hard way. It is black and crunchy. 6. 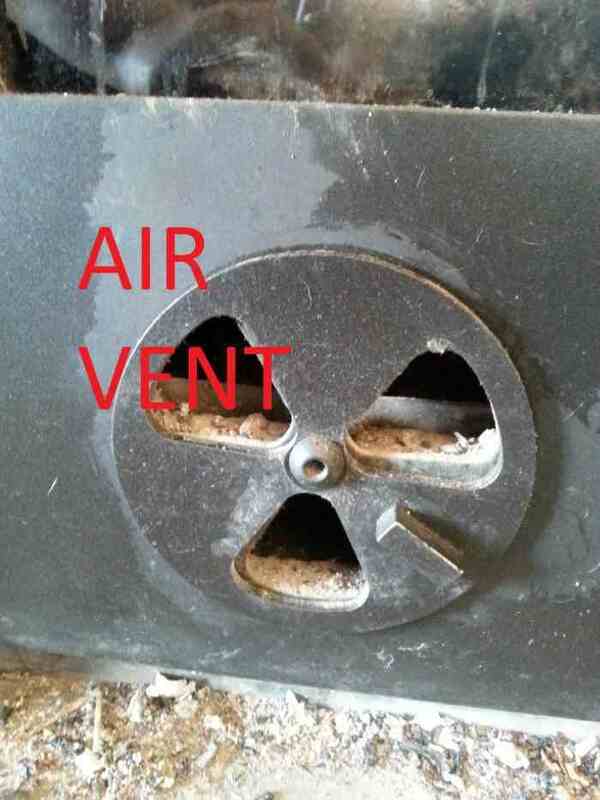 When you have something in the oven of the wood stove, re-check the temperature every 15-20 minutes. I,f it is dropping then stoke the fire, if it is climbing you can turn the damper to send the heat up the chimney for a while. 7. 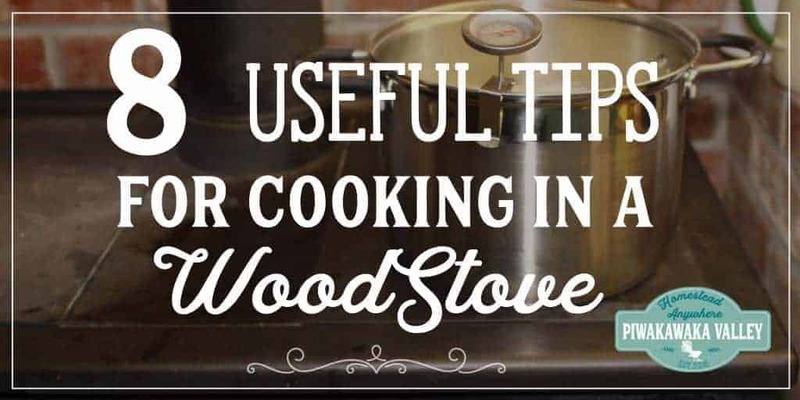 When cooking on top of the wood stove allow 30-50% more time to cook. If you can boil spuds on an electric oven in 30 minutes, it may take 45 minutes on the wood stove depending on how hot you have it running at the time. If you need real heat for cooking (something like steak/chops/stirfry) you can take the front top plate off and put your pan directly over the heat. Make sure you only do this with very heavy pots like cast iron, and don’t use your very bestest pans for this and then blame me if they get buckled from the flames. But it does work. 8. Switch it around. Baking in the wood stove oven once it is at temperature, is just the same as a conventional oven that is not fan forced. One side may be slightly browner, and I always cook lower down in the oven. You can always do a switch around half way through cooking if you find you need to. Do you use a wood fire to cook in? Tell me about it in the comments below! We use our cookstove all winter to heat the house and especially to cook. Love how the food turns out. It is different than electric and there is definitely a learning curve. Thanks for the post – hope it helps someone who is just starting out! Thanks for posting. You do a great job articulating your thoughts and I really enjoy reading your site. This is a very thorough tutorial for those of us who have no idea how to do this! Thanks for sharing at Over the Moon. We hope to see you again next week. I hope that it will be useful for someone – when we started using it we had no idea! Thank you for stopping by!